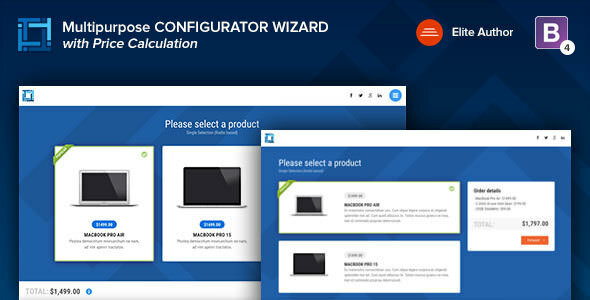 CONFIGURATOR is an HTML5 site template wizard with price calculator feature and configuration. You can create/configure products or services order form, add how many items or steps you need, set price for each item…and the total will be calculate and sent via email with the order details. It have included the PHP email form that send the results, plus a confirmation/summary email to the user who fill the form.